Three scrubs for different purposes. 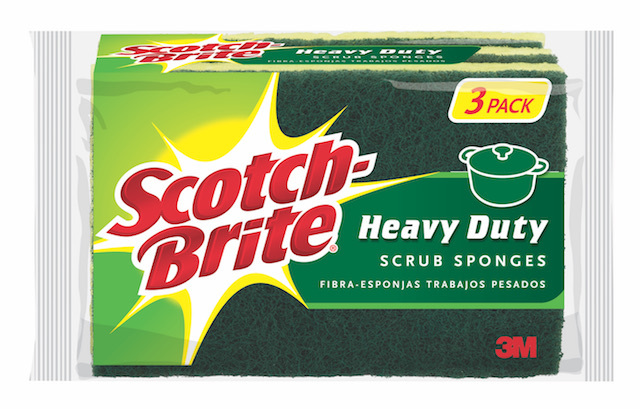 3M offers a range of 3M Scotch-Brite Scrub Sponges for different purposes – the Delicate Care Scrub Sponge (pink), Non-Scratch Scrub Sponge (blue), and Heavy Duty Scrub Sponge (green). • Delicate Care Scrub Sponge – It provides an extra gentle and non-scratch touch, particularly for cleaning delicate ware such as china, fine porcelain, crystal, glass and stem ware. 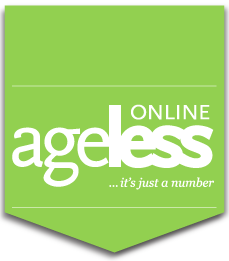 • Non-Scratch Scrub Sponge – It is tough on messes but easy on surfaces, damage to non-stick coatings and easily scratch-able surfaces. It is recommended for use on non-stick cookware where the coating is prone to chips and scratches from use of high levels of abrasive scourers. This sponge can also be used when washing non-stick pans, dishes and bakeware, as well as appliances such as rice cookers and blenders. • Heavy Duty Scrub Sponge – It removes tough, baked-on messes such as grime on the grill or stained pots and pans from heavy cooking faster than other sponges. 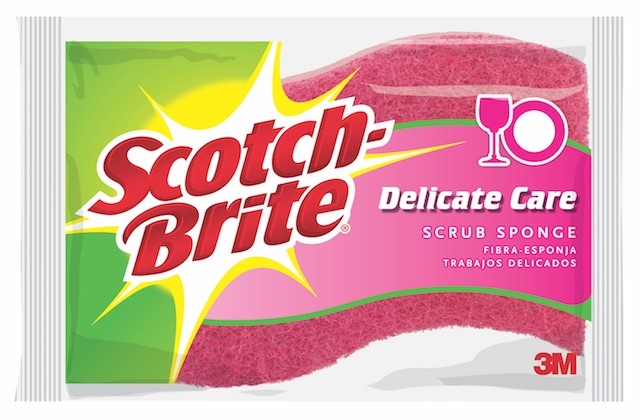 The sponge side of this range of Scotch-Brite Scrub Sponges is made with cellulose, 100-percent plant-based fiber which is superior for liquid absorption as compared to other materials, such as foam. The sponges also have a curved outline to provide an easy-to-hold shape for better grip. 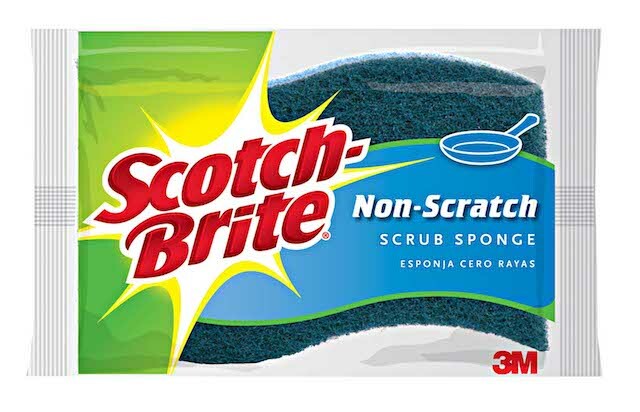 The 3M Scotch-Brite Scrub Sponge (three pieces) retails at S$8.95 and is available in major retailers such as NTUC FairPrice, Giant, Cold Storage, Sheng Siong and Japan Home as well as online partners, Qoo10, RedMart and Lazada. For single pack sponges, Lazada is selling them online for S$6.61 (Heavy Duty and Non-Scratch) and S$6.72 (Delicate Care), while NTUC FairPrice is selling for S$2.55 (Non-Scratch).